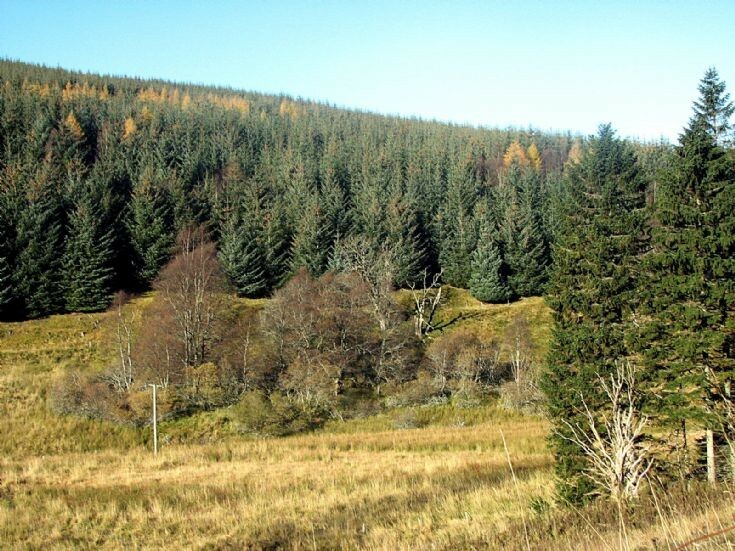 If you take the road up the Glen and pass the old Mill of Bucket, just before you enter a small copse of trees, look over to the other side of the river. Inside the copse is an L shaped embankment with just a few stones outlining the footings of a building. This is the building of Tullocharroch. It is not surprising this was a damp site as the ground in the did is like a marsh with water running in off the hill.